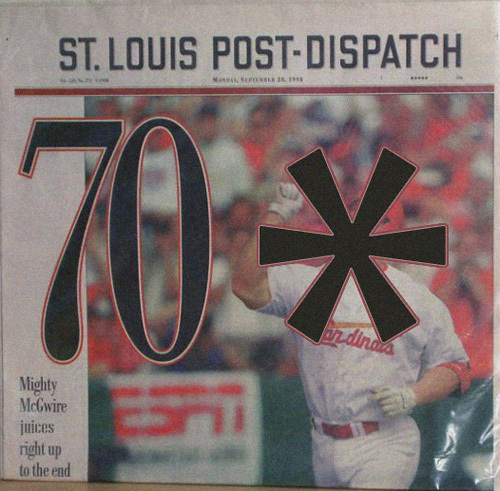 Thunder Matt's Saloon: Hey Post-Dispatch, Asterisk This! Come now. If you're going to put asterisks next to MLB achievements at least be consistent! Seriously. I understand if you're upset because of the bad call. But show some respect to Santana. It's an official no-hitter so just recognize it as such. You wanna complain about the botched call then do it in your article instead of making a grand juvenile statement in your damn headline. It just makes you, the Cardinal fans, and your city as a whole look extremely petty.